The injection of fillers has become one of the main treatment methods in aesthetic medicine. Previously, these products were injected with sharp needles producing various undesirable effects such as pain, bleeding, hematomas, edema and inflammation. Our revolutionary Soft Filling technique was introduced in 2005 and was immediately supported by the finest plastic surgeons worldwide. The technique consists of using blunt-tip cannulae instead of the traditional sharp needles. Year after year, our experts improved the Soft Filling technique and it is now considered the most advanced procedure in the field of aesthetic fillers. 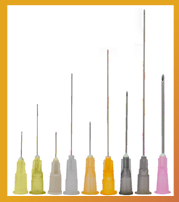 In 2009, our company was the first one to introduce a range of 8 sizes of crafted blunt-tip needles. Today, in addition to our SoftFil Classic needles, we also offer the SoftFil Precision products. 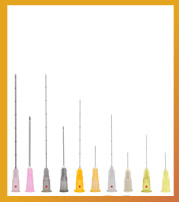 These needles are designed and manufactured with different sizes and diameters to best suit the physicians needs. The SoftFil Precision needles allow a complete mastery of the injection procedure by showing the depth and a locator showing the cannula hole. The combination of our technique and our crafted cannulae make the injections of fillers safer than ever. The Soft Filling Technique is now practiced worldwide by specifically trained physicians and provides patients with unrivaled comfort and superior results.